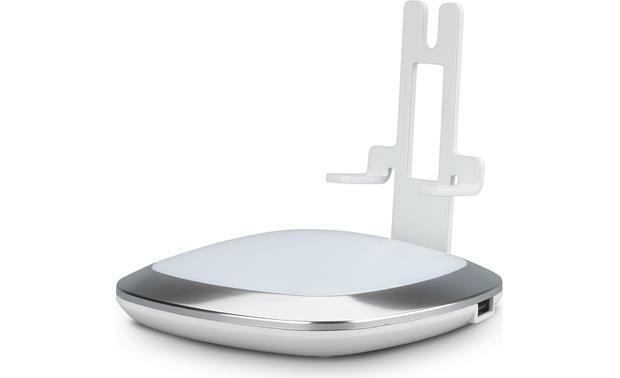 Flexson's illuminated charging stand saves space on your desktop or nightstand three ways. 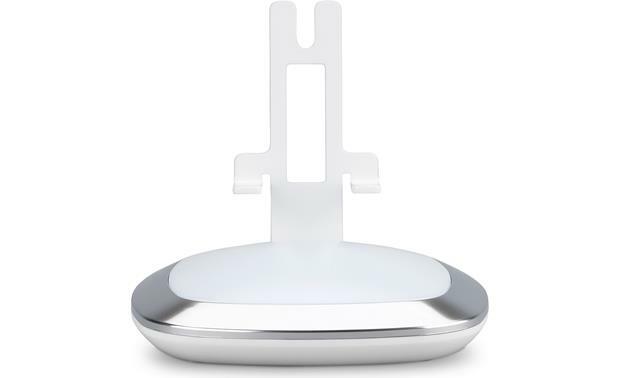 Flexson's illuminated charging stand saves space on your desktop or nightstand three ways. It provides a stable base for your Sonos Play:1 speaker, holding it up at a slight angle. 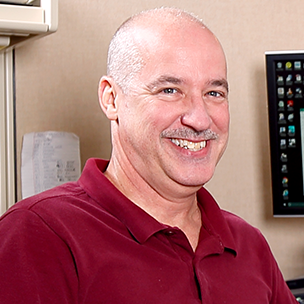 Dual built-in USB charging ports eliminate the need for extra wall adapter chargers. 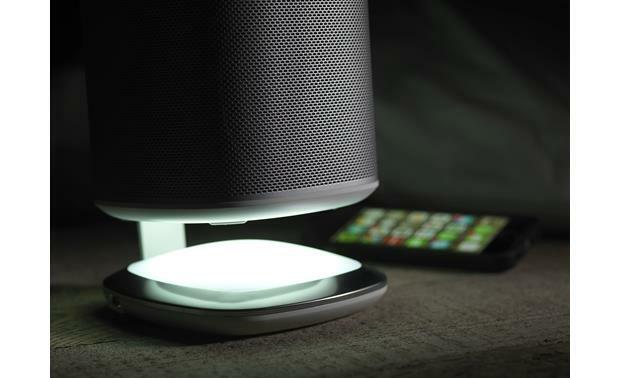 And the stand's dimmable ambient light can take the place of a small lamp or nightlight. 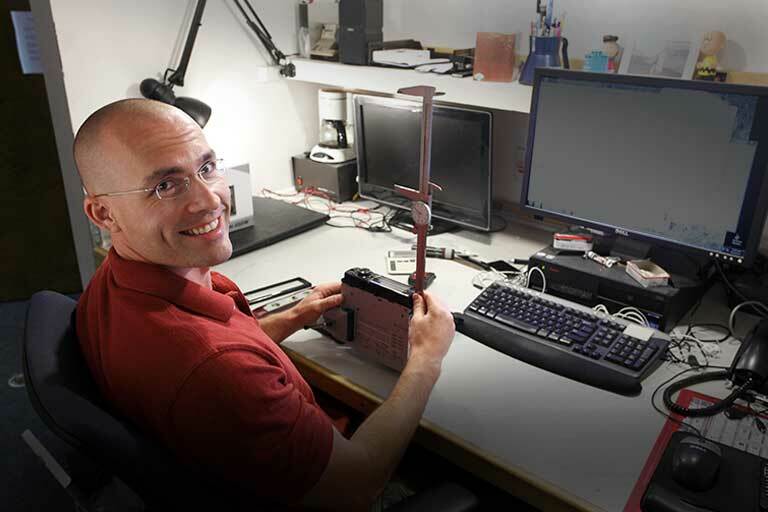 The stand features a touch-sensitive metal band. Tap once to turn the soft, white light on or off. Leave your finger on the band to adjust the brightness of the light. 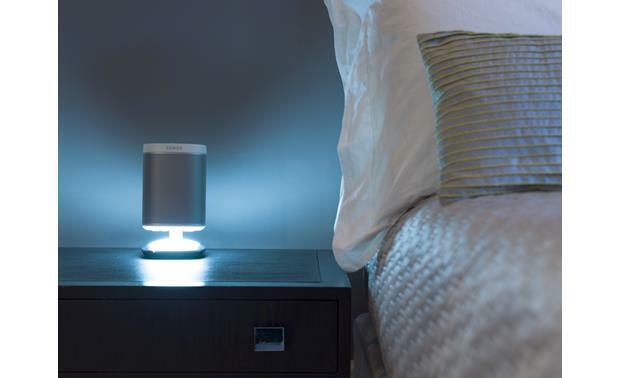 The light gets diffused by the bottom of the Play:1, creating a warm, ambient glow. 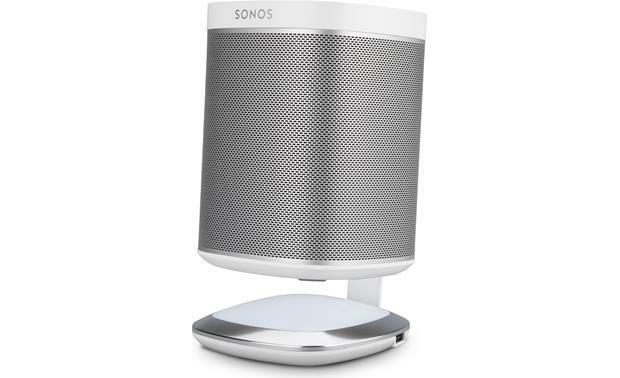 Compatibility: The Flexson Illuminated Charging Stand (FLXP1DSL1011) is designed specifically for the Sonos PLAY:1 wireless active speaker (sold separately). 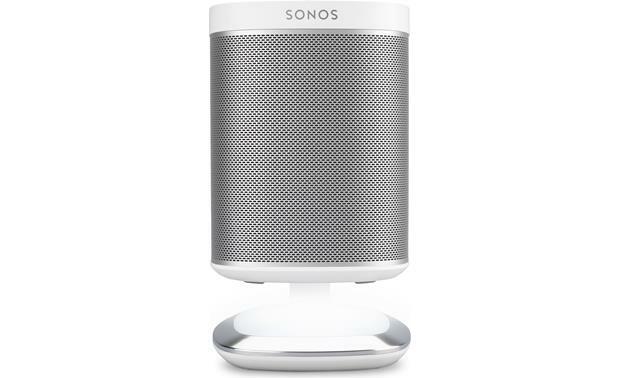 The Illuminated Charging Stand attaches to the Sonos PLAY:1 speaker via the included 1/4"-20 screw. 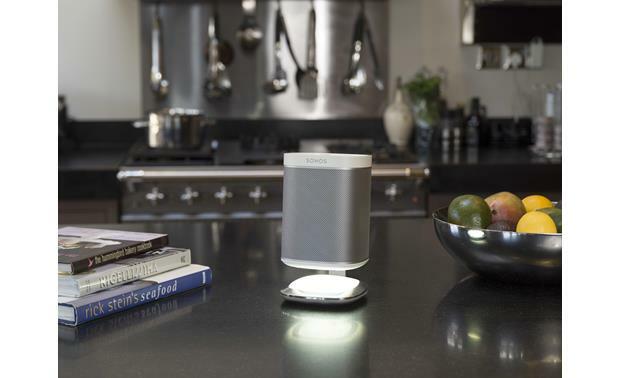 Dimmable Light: A built-in dimmable light with touch-sensitive controls gives off a soft glow. Dual USB Power Outlets: Two power outlets let you charge USB-powered devices - including smartphones, tablets, e-readers, wearables and more. 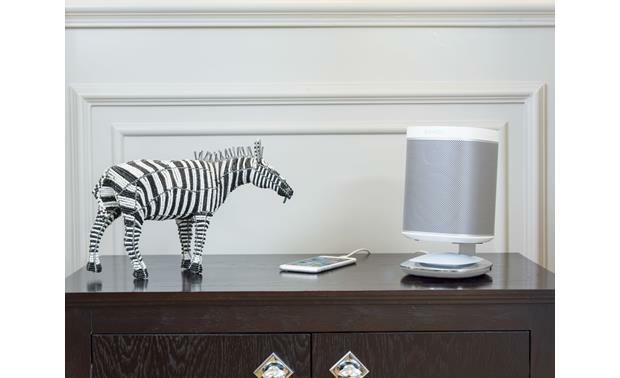 AC power Adapter: The Flexson Illuminated Charging Stand (FLXP1DSL1011) comes with a AC power adapter which will need to be plugged into an AC wall outlet, surge protector, or power conditioner. 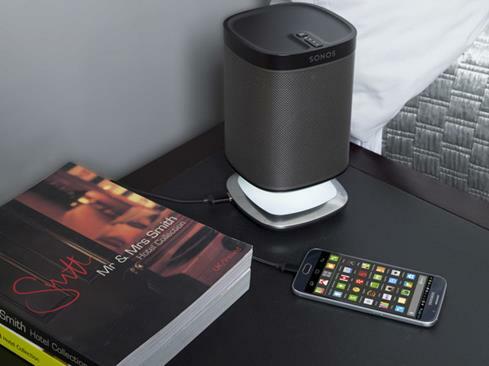 Applications: The Flexson Illuminated Charging Stand is ideal for use on desks, tables, bedside cabinets, kitchen worktops, coffee tables and anywhere else in the house you want to enjoy your Sonos PLAY:1 wireless speaker. 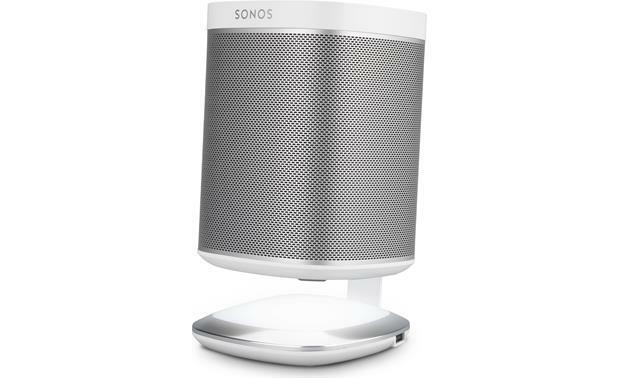 Searches related to the Flexson Illuminated Stand for Sonos Play:1 With built-in dual USB charging ports.